"The debate on the effectiveness of digital learning formats compared to classroom learning is ongoing. Often referred to as e-learning, many educationalists are recognising the significant value that e-learning offers and now consider it just as (if not more) effective than classroom learning, while others claim that e-learning does not produce the same level of learning as a formal classroom setting does." issued by Idea Engineers. To better understand the merits and benefits of e-learning, we spoke to Mike Thoms, Head of Institution at Boston City Campus & Business College. "It is important to recognise that e-learning is used in both distance and contact (face-to-face) learning situations and the benefits of the technology are drawn into the teaching and learning strategy in various ways. E-learning can be used as the principle strategy to present all or the bulk of the learning, or it can be used to supplement or augment other strategies," says Thoms. Thoms further states that the perception about e-learning not offering the same value and potential as studying in the orthodox manner is being questioned by educators and policy makers alike. "Boston, for example, offers degree, diploma and higher certificate programmes registered on the National Qualifications Framework (NQF). These are national, credit-bearing qualifications, comparable to those offered by other higher education institutions delivering programmes in the contact mode, and they prepare the student just as effectively for the world of work," says Thoms. In evaluating the merits of face-to-face learning environments as compared with digitally driven e-learning environments, it frequently comes down to a question of the kinds of learning outcomes linked to a specific qualification. 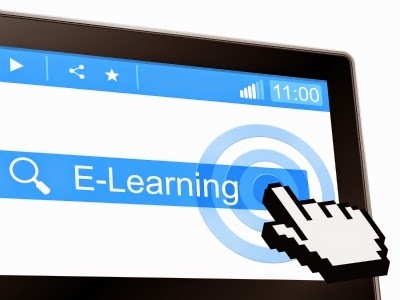 While students learn in a variety of ways, e-learning may suit many students' learning styles. "The encroachment of ‘the digital' in our lives is not just shifting the traditional ways of how we come to know things, but also how we come to be in a global, super-complex and digitally enhanced world. When we learn, or make new meanings for ourselves, we frequently do this in relation to the interactions we have with others and the world. And this is where things are changing rapidly – all these new mediums of interaction call for new approaches to studying," says Thoms. Thoms emphasises that all studying is hard work and demands commitment from the student, and e-learning does not make studying necessarily ‘easier'. What it does, however, offer is a broader access to higher education, particularly if physical attendance at a campus is not feasible or ideal, and with the added benefit of flexibility and cost-savings associated with things like travel or accommodation. "Although the initial investment by the training provider to construct e-learning programmes is considerable, these programmes are generally more affordable for the student," says Thoms.